Use this employee discipline DVD's six-step process to turn problem employees into valuable contributors. You have a discipline problem with an employee. You've tried looking the other way. You've tried gentle reminders. Maybe you've even tried getting mad. Nothing changed. So now what do you do? How do you handle the situation in the best possible way for the employee and for your organization? This new employee discipline DVD gives you six steps of positive, progressive discipline which begin with coaching and escalate to stronger measures only as needed to solve the problem. In many cases, employees will respond early in the process. But if not, the later steps help you address continuing performance shortcomings calmly and professionally. This process is not intended as punishment. Instead, these steps help employees satisfy expectations - and possibly save their jobs. And if they do not have a commitment to improve, you will know that you have given them a fair and legal opportunity. Disciplining employees is never easy. But if you follow the steps of positive, progressive discipline, it doesn't have to throw you for a loop every time. Instead of disruption and anxiety, positive, progressive discipline can make working with employees to help them improve their job performance a rewarding part of any manager's or supervisor's job. 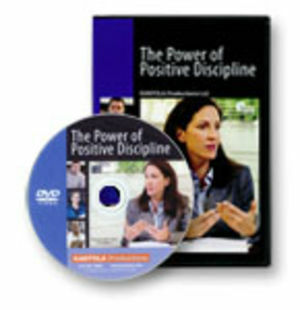 Managers and supervisors can use this employee discipline DVD to change the behavior of problem employees and make every member of their staff as productive as possible.